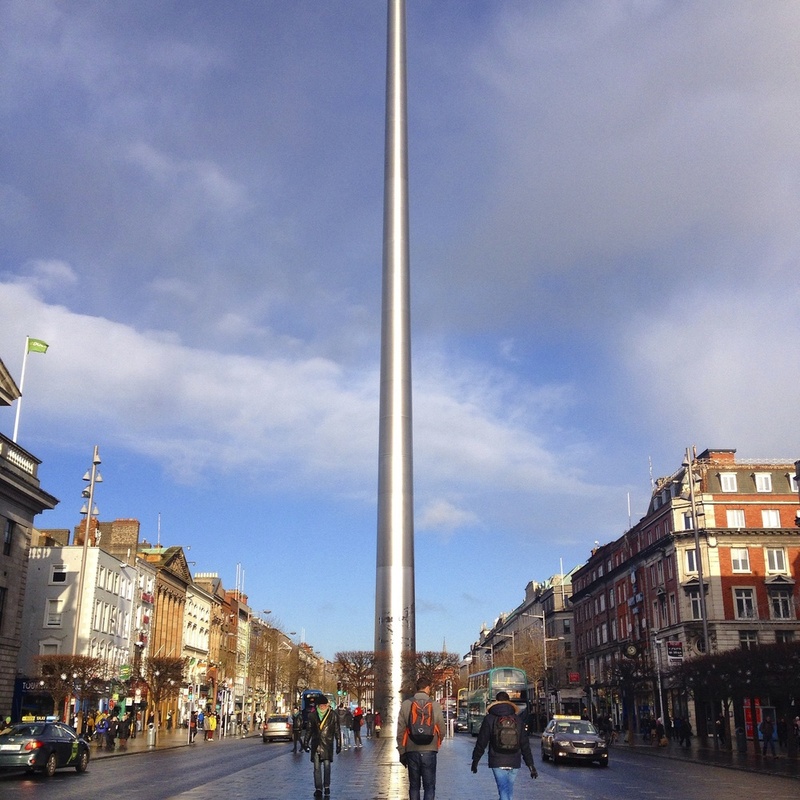 Dublin is… well, wet. And cold. I hate to kill the beer lovers’ buzz, but Guinness was not my favorite part about visiting Ireland. I was, however, a big fan of the pubs – they were warm and always had live music! The different neighborhoods of Dublin each offer a unique charm. Despite a bad reputation for becoming “extremely touristy” over the last few years, I found Temple Bar (neighborhood and name of pub) extremely charming. Pubs, cafés, and a blend of old and new architecture gave certain magic to the streets. The famous Trinity College isn’t more than a few minutes away from Temple Bar. Another blend of old and modern architecture make for interesting extremes. 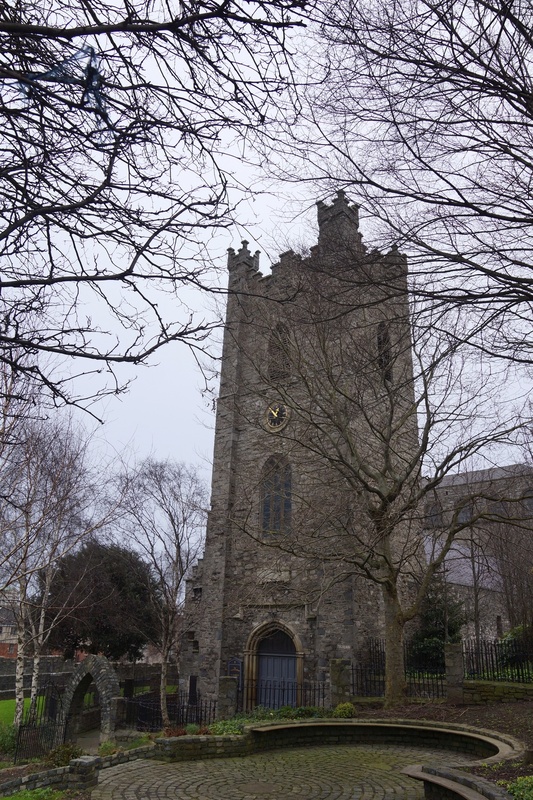 Walking through the campus was one of my highlights from Dublin.The medieval area of the city was beautiful. From cathedrals to castles, there wasn’t a street without something that captured my eyes. The colorful doors of Dublin were a highlight for me. I’m not sure where or when I became obsessed with pretty front doors, but I did somewhere in the last few years. 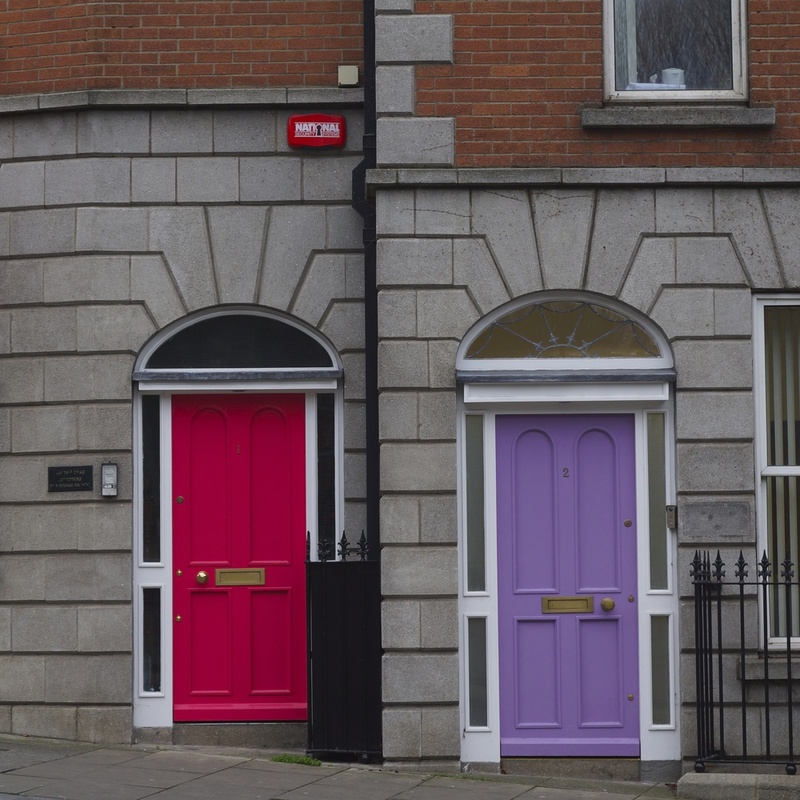 The doors around Dublin weren’t beautiful, per se, they were simple doors painted a variety of colors. Everyone has a different legend as to why the doors are painted with such bold colors, but no one really seemed to know why. Another highlight from visiting Dublin was meeting my mom’s friend, Jimmy. They toured South America together in 1979 dancing and acting for Up With People. Not only did I like seeing the photos of the two of them together (you two haven’t changed a bit!! ), but I also loved hearing about Ireland from a true Irish lad! Thanks for the photos, Jimmy! 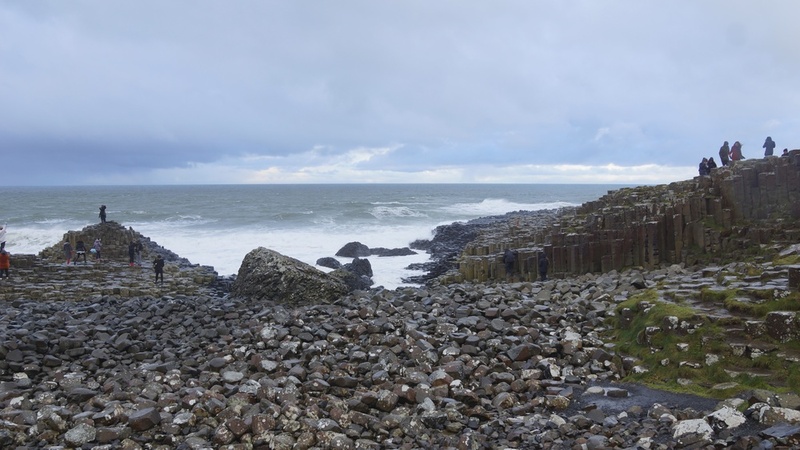 We headed north to Belfast in Northern Ireland for a few days. Belfast was a very interesting city to visit. When considering the decades of violence the city experienced during “The Troubles,” Belfast has really turned itself around over the past few years. 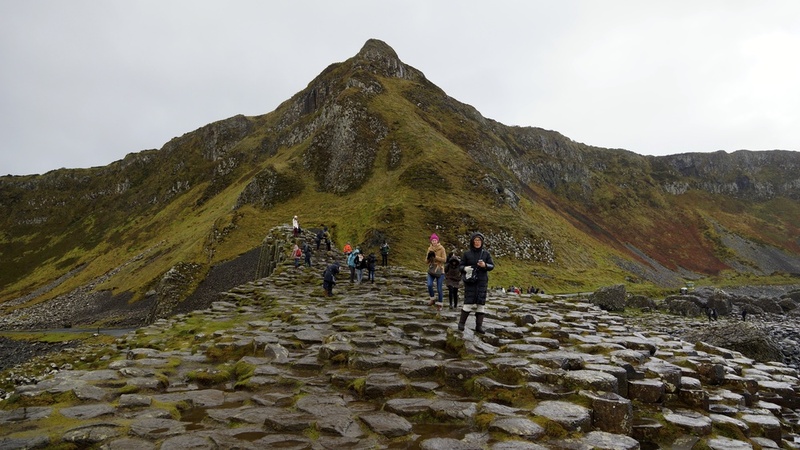 The original reason for heading north to Belfast was to visit The Giant’s Causeway (about an hour further north), one of the most interesting coastal landscapes in the world. 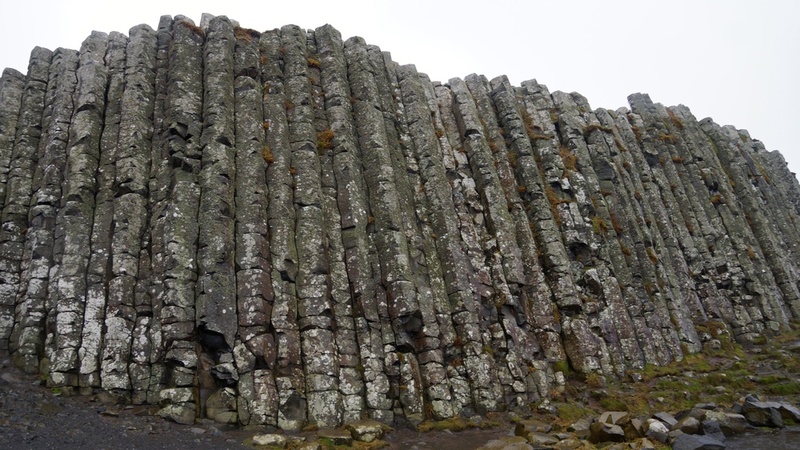 The Causeway consists of hills, cliffs, and 40,000 interconnecting balsalt columns! It was hands down the highlight of my trip in Ireland. The day we headed up to the causeway there was a big snowstorm. Sadly, the Carrick-a-Rede Rope Bridge (one of the most picturesque spots in Northern Ireland) was closed due to the storm. As much as I wanted to walk across it, a rope bridge covered in ice, swaying due to strong winds didn’t sound extremely appealing at the time! I wish I could have had more time in Belfast, unfortunately we didn’t plan accordingly and had to head back to Dublin to catch our flight to Dubai, U.A.E. and onto Bangkok, Thailand! And so, the adventure continues!